isn't Tecna supposed to be stronger than Flora? wiki information isn't always 100% correct. isn't stella the 2nd strogest? According to the creator it's Flora, which I personally never understood. It is Flora actually .Its the Nature with which is the most powerful source. Stella can use her full power and can make use of the energy of every 星, 星级 and moon in the Univers.she has only a weeknes in black magic darknes. Bloom 迷失 the 最佳, 返回页首 because of the shared dragon flame.She is the only one using her full protential 更多 than one time. Aisha can use morphix whats one of the most powerful magic spells and has the best convergenz combination(she is the water/waves fairy->morphix to build anything whats on her mind.wave as rhythum of 音乐 and water to combine with nature powers). Flora has many weeknesses like not good earth to let plants grow 或者 get weekend 由 crying plants. i believe that since Bloom is apparently the main character of the series, she would have the most power and is therefore the strongest among the girls (and perhaps all 精灵 on magix?). Stella likely comes in 秒 with Aisha/Layla right after while Flora, Tecna, and Musa are about the same level in terms of magical strength. i'd say that Tecna might be 更多 powerful judging 由 her approach to situations with enemies and personality. to be honest, 答案 to this 问题 are mostly opinion-based. even if information can be found on different websites, it's not guaranteed to be 100% correct unless stated 由 producers of the series. At that time the 彩虹 S.r.l. character 描述 actually 说 that Tecna was “the strongest” – but this was physical strength – possibly due to her being a cyborg. This was purely a popularity driven ranking but it makes sense 给 the strong marketing connection the 显示 has to merchandise. Sometimes Flora and Aisha were flipped. Some dedicated 粉丝 have analyzed all the televised seasons 1-6 and have recorded how often each fairy has used their magic successfully in attack, defense 或者 in general intent and the ranks are yet another way to consider how powerful they each are. See it's rather disappointing that he switched them around due to popularity of the character. Oh well, it's his show. Well he only switched his 列表 in the 6th season and the first 列表 was based on popularity. So the 问题 of strength was not answered till the six season in conjunction with the Bloomix empowering – so the current 列表 is for the Bloomix transformation. 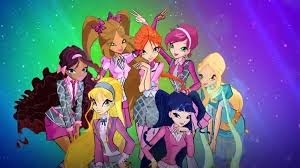 In order, describe the strongest to weakest 精灵 in the Winx Club. This is my orders with my opinions, the logic, the facts, and the reasoning. Let's start! This first 列表 will describe who has the most strongest MAGICAL power between the 精灵 of the Winx Club. Here we go to fly! 1) Bloom: Yes, I believe Bloom is strongest with the Dragon Flame. In the history of the Magic Dimension, the Dragon Flame created the universe. With the power of the creator, 你 pretty much have "immortal" powers. This would 显示 the strongest between the physical magic. So, I believe Bloom is the strongest fairy, because her magic literally forms her into a "goddess". 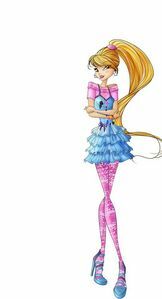 2) Flora: Flora makes as #2 due to the Winx Creator Iginio S telling us Flora being the 秒 most powerful fairy. In my opinion, I have other facts to be proven. Flora has the power of nature, and nature was formed before people appeared. Nature still lasts in present, so Mother Earth is very powerful. Flora can be "Mother Earth" fairy-like person, because of how Nature will still live on and Flora will still have the ability to connect to the trees, grasses, plants, etc. 3) Stella: According to Iginio Straffi, Stella is the 3rd powerful fairy because of her light magic. I agree with this statement from Iginio, because without light, life wouldn't form. (Okay, I know 你 guys might be thinking why Stella isn't #2, but it is because nature has a "variety" of landscapes that ranges from a forest to a tundra.) Light is also pure goodness, so it is pretty useful for the downfall of enemies. Stella goes 3rd for her physical power from the sun (or the moon). 4) Aisha: 你 all might be thinking why Aisha is #4 on my list, but here is a reason to connect with nature. Aisha is the Fairy of Waves, while Flora is the Fairy of Nature. Aisha comes from the "WATER" planet Andros, which signals why she is #4. Water is needed in every living thing, and without it... we all might die. 你 all might be saying that Aisha's power is actually 更多 of morphix (which is true), but I would put that aside to remember how she is like a waterbender. Aisha is #4 for the importance of water. 5) Musa: Musa's power of 音乐 goes #5 on my 列表 for physical. Her soundwaves are very powerful, and if you're in cave with Musa, 唱歌 loudly can cause caves to collapse (really don't mean to hurt Musa lovers). That is very powerful force with the physicals of sound, and sound does travel fast. Musa goes #5 for her sound waves. 6) Tecna: Technology is very powerful, but I had considered the beginning with forces of gods and goddesses. With technology, it had started with the beginning of modern people. To me, I considered it "high innovation", but it counts as the weakest for MAGICAL powers, because it wasn't totally involved with civilization until inventions came rolling in. 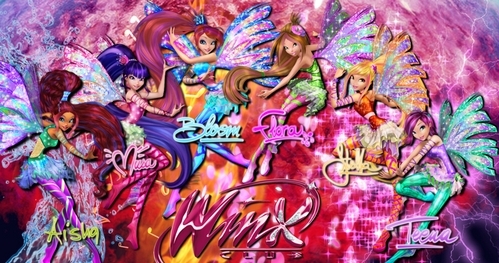 I still 爱情 all the Winx, of course! I don't mean to offend Tecna and Musa lovers. In Aisha's case, Morphix is water because it is made of water molecules. She's just using a sub-talent of her water magic. 1. Bloom is the most powerful fairy in the universe.It is 说 multiple times in show. Her power comes from the dragon flame that created the universe. 2. Flora is thought to be weak but the creators say she is the 秒 most powerful. Her power comes from nature which is a little mix of almost everything and all life. Without nature, nothing would exist. 3. Its 说 Stella is the third most powerful because her power comes from the sun and light. Without those things it would be impossible to live. 4. Aisha would be 下一个 because water is one of the main sources of energy. 5. Musa's come from 音乐 and sounds. Sounds are vital to life. 6. Last of all is Tecna because technology is awesome, but we don't need it. that makes her powers weaker. I agree completely bloom is awesome. Well it depends really... But we all know that Bloom is the strongest because she has the dragon 火, 消防 and that doesn't have many things that can destroy it. Bloom thinks before she does stuff but doesn't over think it and always manages to have a plan. Also she is still strong without her power as we see for season 1 as when she looses her power she is still able to throw a punch. Also she does what she can to get stronger as we see in season 2 when she takes extra classes with professor Avalon and in season 3 when she goes to the island of dragons. Some people might argue and say she gives up and leaves but she does it because she thinks it is best for others and se is insicure because of her past. Stella has a similar power to bloom and is very powerful but her weakness is going underground as her power comes from the sun. Also sometimes she does before she thinks and that Can make her seem weaker than she is but when it comes to people who are close to her she doesn't back down. Layla/ Aisha isnt the strongest but she has her strengths. Her morphix acts as a great sheild but it is only as strong as she can make it. It's sticky and so it can hold enimies down. Her power isn't the strongest but she makes up for it with her athletic ability and that can help when she doesn't have power. She is also smart and thinks things threw and she is determend. Tecna is very logical and smart but sometimes that can effect her decisions and powers. She isn't the strongest of the group but she is 《勇敢传说》 ( season 3 ) and smart and quite quick too. Her spells often work and she has good shields. Her logic can help when they are making plans. Musa's spells seem to be the same (sound waves) but can be strong as they make their ears and stop enimies from doing anything. But once that is gone there isn't much 更多 she can do. Flora's definitely the strongest.Even if the Dragon's Flame created the universe, no one can survive without air.Plants are the only natural 来源 to freshen air. Bloom., shes the strongest she has the power of the dragon flame and shes a princess double threat. 5:Tecna: That does't mean tecna is not powerfull!! , tecna is awesome , and i reallllly adore her , and if she just get alot of attention u will see that!!! Actually her power is the best for me , it very rare and i 爱情 iiit , and it really helped her friend in season 4 and 3 , and she has a biig part of winx club i 爱情 her!! Swap Tecna and Musa then we will have the same. I agree on your 列表 a lot. Yes, almost the same :) I just see 更多 of Musa in action than Tecna. 2. Flora - according to the creator she holds this place. 6. Bloom - I don't care how many times the creators say Bloom is the most powerful--she's not, the dragon 火, 消防 is. Without it she is nothing. She is very naive and easy to manipulate. She would have died in episode 2 if not for Stella. She usually doesn't hold up well without the rest of her team to help her. And when she 迷失 the dragon 火, 消防 she was defeated so easily. She gave up so easily too. Whereas in the 最近的 episode when the others 迷失 their powers they were still able to fight and do so well. Hiding 38 comments... click to show. strength. She's got a lot of mental strength too. Sorry I accidentally hit enter lol. I sort this using powers, fighting abilities, brains and mentality. I like bloomfan12's 列表 for ranking raw power 总体, 整体 and would simply add that it could be argued that Stella = Tecna, Aisha = Flora and Musa = Roxy with Bloom simply on 最佳, 返回页首 due to the Dragon 火, 消防 aspect. Bloom, Stella, Layla, Musa, Tecna, Flora. 1. Bloom - Hands Down*! According to the author, calculation and also google, it 说 that Bloom is the most powerful. The sign of Leadership in their team is on her. She even beat Valtor on her own. And the Fact that, She have the most powerful energy on the whole universe (Dragon Flame) . So, My Girl should be First!!! Your 列表 is almost the same as mine, I would 爱情 to hear your reasoning, but obviously I agree with your ranking. All of them are weak as hell and should have never been able to defeat any villain(especially Valtor). The only reason they win is because they have ridiculous odds stacked in their favor. ^this basically happens in every other 幻想 series not just in Winx Club. Still pretty annoying. One of the reasons I can't get into Magical Girl in general. Winx somehow became an exception. @fire_dragon77 funnily enough this also happens in Fairy Tail that happens to be one of 你 最喜爱的 animes.Natsu should have never been able to defeat Hades in the first place but surprise"deux ex machina"comes in and the exceeds find the"Grimoire Hear",destroy it and Hades loses his powers.He also shouldn't have been able to defeat Rogue and Sting 由 himself.Also if it wouldn't have been for Jellal giving him those flames he couldn't have defeated Brain/Zero.And lets not forget how Laxus was about to whip off every Fairy Tail member with casting"Fairy Law"but nothing happenes because it turns he actually doesn't really hate all the Fairy Tail members lol.Yeah,right he likes them so much that he didn't even help them during the fight against Phantom Lord lol. @zanhar1 This also happens outside of the magical girl genre mostly because the point of these"good vs evil"fantasy series is to prove that"it doesn't matter how powerful the bad guys are,the good guys are still going to win". Yeah, but I don't the the odds are as unfair as in Winx. For the most part power is pretty even up until the final battle and that I'm alright with. It's when the villains are so under powered in comparison to the good guys that I have a problem; it takes away the suspense. For example in Harry Potter, the Death Eaters and Voldy have the upper hand for most of the books. In 阿凡达 the 火, 消防 Nation was pretty much winning the war. It was written in a way where 你 knew somehow the good guys would win (but 你 didn't know how) and the bad guys could have very well won if the authors wanted them too. *Yeah but the odds aren't as unfair as in Winx* I really need to proof read this stuff better before hitting enter lol. That's pretty much the gist of it. Season 1 totally didn't have that problem. Season 2 was pretty even as well. But I think the odds started becoming a bit ridiculous in season 3. 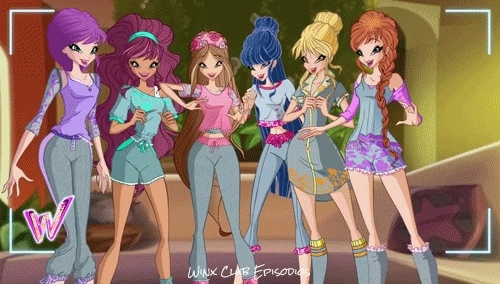 I think it was in season 3 when on numerous occasions they six enchantix powered winx verses one standard transformation Icy. Like Darcy and Stormy would get taken down really quickly and Icy was left there to try to hold out alone. However they still had their moments in season 3. Which is just one 更多 reason why I really only like the first three seasons. I dropped the 显示 after season 5. This 秒 列表 is on emotions. This 列表 considers the Winx 精灵 from strongest to weakest 精灵 determined on their emotions. 1) Tecna: 你 know Tecna. She used to be so emotionless! She is serious and doesn't feel much feelings. Most of the Winx can't scratch a dent. The only time Tecna will fall is sorrow that relates to her. 2) Musa: Musa had a rough childhood growing up in Melody. She had 迷失 her mother at a very young age and dealing with a struggling father. All that sorrow was in Musa, but she would still smile and work hard at those times. Even with her relationship with Riven, she kept going even when she has the inner conflict in her heart. 3) Stella: Stella, was pretty similar, with Musa. Only the fact is that the light fairy had struggled with a royal family that was divorced, because they wouldn't listen to each other. Stella is #3 on my list, because she always continues to stay so cheerful and brings humor to the 表 even with her issue. 4) Aisha: Aisha is still pretty strong even if she is considered to be #4. Aisha had an isolated childhood with being a princess, but when she came to Alfea, she would do anything she can with her freedom. Even after the death of Nabu, she continues to stay strong and focus. 5) Bloom: 你 wonder why Bloom is on #5 of the emotional list. Do 你 know why I put Bloom on #5? Let's just remember Seasons 1-3 where she had to deal with finding out the truth of her biological parents. She didn't give up on finding her parents. Bloom always was "really" emotional as well with Sky's betrayal, too. I gave Bloom being the ranking to be second-to-last weak on emotions. 6) Does anyone wonder why Flora is #6 on my rankings? #6 ranking means Flora is the weakest fairy because of her emotions. Let me just 显示 你 examples to 显示 Flora is the weakest. One reason Flora is like the most emotional fairy is because she would always feel bad for a specific cause she did (before dating Heila). She would always cry the easiest, though, she just like Bloom. I pretty much think Bloom and Flora are tied for emotionally. Summary: The most strongest 精灵 are Bloom (Magic) and Tecna (Emotions), according to my opinions. The most weakest 精灵 are Tecna (Magic) and Flora with Bloom (Emotions), because of my personal judgement. Please respect my order of the strongest to weakest 精灵 on magic and emotions, because this is personally my opinion. Thank 你 for 阅读 this long 2-lists answer. Like I said, I don't hate the Winx. I didn't mean to offend anyone who like Bloom 或者 Flora. I like theses answers. Extra 支持 for figuring out the trick to double answering lol. No problem. That's cool and based on the 评论 I'd say your work paid off. How is flora the strongest. no offense to the other people who voted. 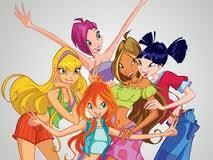 i dont think daphne and Roxy are official members of the winx club. 1- I think Bloom is first because of the Dragon Flame which practically created the Universe 或者 so and she has the strongest powers but I believe that without her Flame, she wouldn't be as strong. 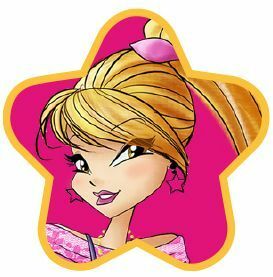 2- I believe that Stella is 秒 because she has the power of the Sun, the Moon and the Stars and its important when the Winx are fighting any Dark Creatures because Stella's powers can repel the enemy for a while just like Darcy, who is Stella's polar opposite. 3- 3 is definitely Aisha/Layla because she is strong as a fairy and as a civilian (without powers) as well. Her water power is necessary because there cannot be any life without it. 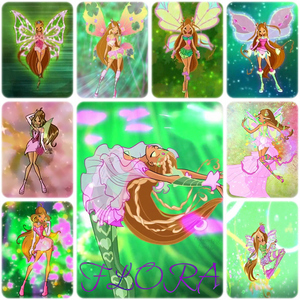 4- Flora, Some people like the creator of Winx Club, say that Flora is 秒 but Flora is easily defeated and her powers are the same every time and they don't hold the enemy off for long although her powers are brilliant because its the power of nature which is an important factor in life. 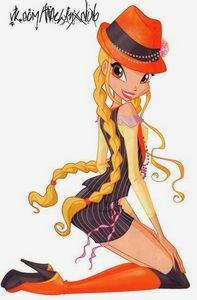 5- Tecna is 5th because her gadgets and tech life always saves time and effort for the Winx but her powers and moves aren't that strong but she did sacrifice herself which is very strong of her to do. 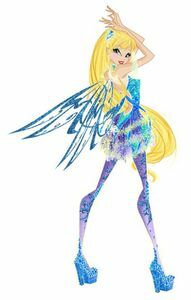 6- I think Musa is 6th because her powers only hold the enemy off for a few 秒 but her defense powers aren't strong at all but she is very talented and important to Winx Club. 1. Bloom- she has got the dragon flame which created the universe and even when she 迷失 her powers in season 1 she was able to cope. However she does let her emotion get in the way as shown in season 3 when valtor uses that to his advantage 由 telling her lies about her parents and origin and made bloom not destroy him. 2. Flora- even though Flora emotionally is weak her powers are really strong (perhaps stronger than Bloom's) as shown in season 4 she was able to give life to toy 动物 which became fairy pets. She is also the most mature. 3. Stella- Stella's magic is quite powerful as being princess of the sun moon and stars. She is shown to be really powerful than the other 精灵 cause in season2 when the headmistress tested who can go to Darker's place she passed alongside bloom and Aisha. she is also a polar opposite of dark powers (e.g. Darcy, Darker). she is also similar to bloom. 4. 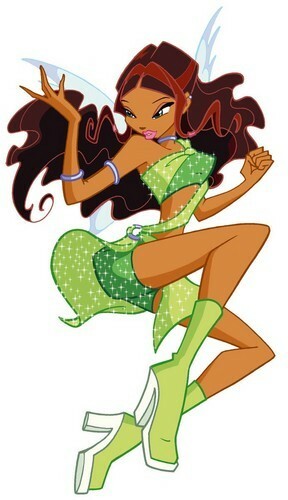 Aisha/Layla( whichever is her name)- she came in the winx club during season 2. She is shown to do anything including risking herself to save the pixies. Athletically she is great and her morphix powers has been shown great use. 5. Techna- it was a real hard cause it was a tie between techna 或者 musa Techna had shown 更多 acts of bravery than musa. For example she risked her life to the omega dimension for Andros. Her powers are in great use for defence spells and can crack any codes. 6. Musa- Musa has been shown to be weak in magic and that her powers are really the same each time. Her sound waves does hold back an enemy but only for a while. Just like bloom she does get her emotions and past ( her mother who died) get better of her at times but not much as bloom. this is only what I think IF Daphne and Roxy are official members of the winx club. Daphne might share 1st place with bloom. She is shown to have great power and able to do telepathy and other spells even being under the sirenix curse. she still probably does contain some f the dragoon flame power as she had 给 it to bloom. she is the eldest and wisest of them all. Roxy is a hard one cause u don't know her full power yet as she is still a student and still learning at alfea. As an earth fairy she has advanteges. I believe she will be at the bottom but will eventually come to a better place. but I still think her to be powerful. she is able to give speech to 动物 so to me it makes her similar to flora. I'm not knocking your opinion, but why do 你 have Layla at the bottom? bloom, stella, flora, aisha, musa, and tecna. This is a unique look at it, I would like to know your reasoning, because it almost seems like 你 just did a 收藏夹 list, I mean Bloom is probably the most powerful. Bloom,Aisha,Flora,Musa,Stella,Tecna is in order I think. it is because her powers are similar to Blooms and that her only weakness is the dark also her powers are naturally within her and because of that it is not easily stolen. She is also 更多 powerful with her scepter. Bloom is not actually the most powerful fairy, since she is only the holder of the dragon flame her power could be taken away from her easily unlike Stella's which is a very big disadvantage to her. she is super intelligent and fierce. 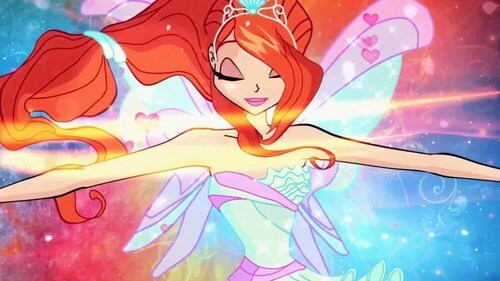 It is obviously STELLA if it was not for Stella, Bloom might have died and there would be no winx club, FLORA is our life which makes her powerful,next would be BLOOM since she is only a holder of the dragon flame, then MUSA ,TECNA and AISHA.